Why Should I Get A Waterproof Pad? How Do I Choose A Waterproof Pad? Your brand-new mattress is a revelation. You vow to protect it, but each time your child or partner get anywhere near it with a drink, you panic. When your beloved pet runs back in with wet paws, it’s cause for serious alarm. Stop worrying. Waterproof mattress pads have come a long way since those gross plastic options at sleepaway camp. You can get a good night’s sleep and protect your mattress with the right kind of waterproof pad. Let’s take a look at how far they’ve come. Even if you don’t have wild children or an inconsiderate partner, waterproof pads help protect the surface of your mattress from accidents. If you get a leak or accidentally spill something, your pristine mattress is not so pristine anymore. They also protect your mattress from sweat and body oils. These can cause odors and mildews to develop if you don’t have your mattress cleaned regularly (and who does? ), so a protector maintains the integrity of your bed for a lot longer. Protectors also help put a barrier between you and an older mattress, so you sleep on a cleaner surface. Complete casings can also help shut out any infestations from mites or bed bugs. The right mattress protector helps keep your investment safe. You’ll likely keep your mattress for at least ten years, but if you’re the average user, much longer than that. Having a barrier that can keep your mattress clean and free of moisture gives your bed a longer, more effective life. If you’ve invested in mattresses for a guest room or house, this is especially critical because your mattresses will be subject to a lot of accidents or abuse over the years. The last thing you want is something uncomfortable. Consider why you need one in the first place. If you just want a clean surface between your mattress and you, a simple pad can help cut down on sweat and oils reaching the interior of the mattress. A basic pad just fits underneath your top sheet and provides that protective barrier. These are good for children’s beds or if you have periods of time where you need extra protection. They’re also good for travel because you can easily fold them up and bring them with you. A pad that fits over the mattress entirely helps prevent more severe spills and is suitable for those of you who eat in bed or who have children and pets that could cause more significant accidents. It stays put easily and protects all the way around to the sides of the mattress. Encasements zip the mattress up entirely and prevent any spills from reaching the bed, but also creates a barrier to prevent anything from getting out of the mattress. If you’ve got an older mattress and you suspect it has mold or a bug infestation, a total encasement may be the way to go until you can upgrade. Most good waterproof pads don’t use plastic. That used to be the only option, but now you can get pads made of materials that are waterproof but move and feel more like regular cotton. They’re comfortable and offer a (mostly) noiseless experience. Most good mattress pads contain polyurethane as the waterproofing material. It moves more like cotton and is flexible. It has microscopic holes too small for moisture but large enough to allow air to pass through. It’s breathable but still maintains that waterproof barrier to protect. Vinyl is a cheaper option that doesn’t have the same crinkle as plastic, but it’s going to be a lot more difficult to regulate temperature. It’s best for full-scale infestations, but it has no air permeable barrier, so be prepared to sweat unless you use another pad on top. As for plastic? Just don’t. There’s no more need. If you suffer from incontinence, you may not want just a waterproof barrier. A pad that soaks up moisture – similar to the way a diaper could keep babies much drier overnight – so that you don’t have to get up to change the pad each time something happens. These are rare, but definitely possible. You could also find a sheet that uses a mattress protective backing so you can layer them together to change in the middle of the night if you find there’s been an accident. Most waterproof covers don’t absorb the spill, so you’ll have to act quickly to mop it up and change the pad underneath. These are best for preventing occasional accidents but could be annoying if large accidents are a frequent occurrence. Protection is one thing, but actual absorbency is another. Make sure you understand what you’re getting with most protectors. The price of your pad potentially corresponds to how well it’s made. We understand balancing budget needs by getting something useful, but we strongly encourage you to spend the money you need to have a comfortable sleep. More durable products won’t need to be replaced as often and work like they’re supposed to. It saves you headaches and the cost of replacement pads when your cheap one wears out or doesn’t perform the way it’s supposed to. Most waterproof mattress pads are fully machine washable, making care very easy. You may not be able to dry them on high heat, however, so plan ahead for when you need to wash it. Be sure to clean the surface regularly to maintain the pristine surface. If you can’t thoroughly launder your mattress pad, most can be wiped down or spot cleaned to get rid of any stains or take care of accidents. However, we recommend going with one that can be laundered fully so that you aren’t spending a bunch of time cleaning something that’s meant to make keeping your mattress clean easier. Waterproof mattress protectors come in a variety of styles and materials, but the most important thing to remember is that it shouldn’t interfere with the benefits of your mattress. A waterproof pad should work with your mattress to keep you asleep longer while protecting both you and your mattress investment. There are cooling options, simple pads, and even ones you can travel with. Decide on how you’re most likely to use your pad, and there’s likely one on the list for you. Muse’s mattress protector uses the same technology as that of Muse mattresses. The cover material uses a cold wire technology to actively transport heat away from your body where it can dissipate away from the mattress itself, creating a cooler climate overall and cutting down on night sweating. It has a waterproof coating that doesn’t feel stiff and provides noiseless protection throughout the night. The quilted design provides some cushion for comfort and prevents filling from bunching up with long term use. It has good airflow, so you never feel trapped or sticky through lack of breathability. It accommodates mattresses up to 20 inches deep, providing deep pockets that keep the pad in place despite tossing and turning. It also protects on all sides of the mattress. It’s machine washable on gentle cycle, but don’t use heat when drying. It’s thin enough that it won’t change the overall feel of your mattress, and it slips easily underneath sheets for a reliable placement that allows you to continue to feel the surface of your mattress underneath without changing the support and contour. It comes with a 120-night sleep trial and a limited three-year warranty against defects. It ships free, and some qualified buyers may be able to take advantage of financing. The Bear protector uses a moisture wicking material to help keep spills at bay while protecting you from allergens on your mattress’s surface. It’s breathable to support natural cooling and may help to prevent night sweats. Something called HeiQ technology actively transports moisture away from your body while preventing it from building up in on the mattress surface. It won’t interfere with your mattress’s feel or the surface of mattresses that use things like Celliant or cooling gels. It’s thin enough to fit under a sheet without altering the overall look and feel of your current mattress. It responds to changes and helps create a microclimate for better comfort. It’s completely waterproof and also resists allergens such as bacteria and molds. It’s easy to clean. Launder in the washing machine on gentle but avoid high heat as this can destroy the surface and the seaming. Make sure it’s completely dry before you put it back on your bed. You have 100 nights to try the protector out, but you must keep it for at least 30 nights before it’s eligible for a return. This gives you plenty of time to try it out, but if you know right away that it isn’t want you want, it could be an inconvenient policy to work around. It comes with free shipping, and qualified buyers could finance the cost to avoid the cost all at once. If you’re on a budget and need a waterproof cover, SafeRest offers an excellent waterproof option that won’t break your bank. It uses a cotton cover designed to feel like the surface of your mattress with a membrane backing that contains no vinyl or plastic. It moves quietly and feels like sleeping with nothing. It won’t change the feel of your mattress at all, so if you’re looking for something to help create more comfort, this isn’t the right choice. Instead, it functions as an invisible layer between you and the mattress. The cotton absorbs small amounts of fluids, so if you sweat a lot during the night, it can help you feel drier. You’re less likely to wake up because you feel clammy. 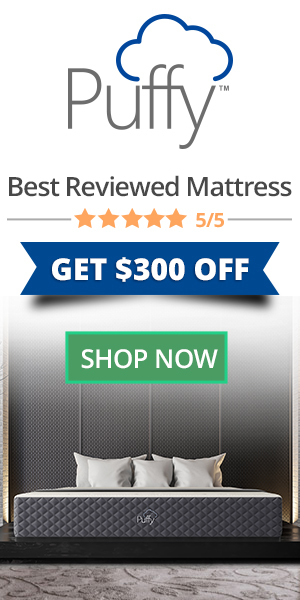 It allows the mattress to breathe but contains no cooling properties in itself. It uses a simple, breathable layer to prevent heat from getting trapped, but it won’t help you feel cooler if your mattress doesn’t already do that. It’s completely machine washable and can be dried on low heat for a complete clean. No more waiting for your mattress pad to dry before using it again. It ships for free and comes with a ten-year warranty, but no sleep trial is included aside from the basic return policy. Contact your seller for specific details. If you need something specifically for cooling, Nest Bedding offers a waterproof pad that prevents you having to choose. Nest’s pad offers a high loft fill that’s completely waterproof and actively increases airflow as you move around. The result is just a bit of padding and a comfortable waterproof layer that’s noiseless and feels like the natural surface of a mattress. It’s designed with deep pockets to help keep it in place. It accommodates mattresses up to 18 inches with no issues using a strong elastic band that can survive multiple washing cycles. The quilted layer helps keep the filling in place and prevents the waterproof layer from degrading over time. It’s a solid option for natural cooling when you need something with no off-gassing or unnatural chemicals. It comes with Nest Bedding’s long 100-night sleep trial with no caveats on how long you have to keep it before you can return it. It has free shipping, and qualified buyers can finance the cost if that’s an important option. It’s not going to add any padding to your bed overall, but the natural materials along with odor-free layers keep you from making your allergies worse while trying to protect your mattress. If you’ve already got a cooling mattress you love, this one will keep air moving and help you take full advantage of your mattress’s cooling properties. If you don’t need to cover your entire mattress a mattress pad alone could be a good option. A pad can go over or under your sheets to protect just the mattress itself or your full bedding from night time accidents. If you want some choice for how you choose to waterproof your bed, Priva’s pad could be an excellent option. It uses four layers of density to provide not only waterproof protection but actually absorb moisture throughout the night. It uses a comfortable polyfill cushioning for a slight comfort increase while a vinyl barrier is completely impermeable until you can change the pad or mop up the spill. It’s simple to clean. You can both machine wash and dry the pad, and it’s also bleach safe for sanitization purposes. The water barrier uses no chemicals or phthalates that can cause off-gassing. It can absorb up to eight cups of liquid while providing a dry surface but it may be a little warm for those who sleep very hot during the night. It’s great for using with potty training children, underneath pets, or for night time incontinence when you or your partner doesn’t need the protection. It’s large enough to cover a wide surface but won’t interfere with the rest of the mattress. Overall, it’s an excellent option for sheer flexibility. The washable factor is ultra convenient too. You’ll have to contact your seller to find out warranty information. It doesn’t have a sleep trial, but it can be returned under certain conditions. Just make sure you check on what qualifies a return before you attempt it. The terms aren’t exactly convenient, but this is a very affordable alternative to full mattress protectors. Deciding to protect your mattress is a good idea for the long haul. Moisture can ruin the surface by staining and causing mold or mildew to grow. The more sweat your mattress absorbs, the more likely it is that you’ll have to replace it sooner than you planned. An excellent waterproof protector can prevent your bed from coming into contact with anything that encourages mold or mildew growth and keeps you healthier in the long run. Your waterproof pad can add years to the life of your mattress, but it can also help you sleep healthier and more comfortable each night. Anything that improves your sleep health is a win in our book, and since protectors have come a long way from the plastic days, they’re an excellent investment.